Josie Natori, the lingerie and sleepwear pioneer, has announced the launch of her evening collection, Josie Natori Evening, for resort 2016. The designer has shifted her focus from underpinnings to night-on-the-town attire while still remaining true to the many elements that made her lounge-wear famous. Think fine silks, embroidery, intricate beading, and key colors including black, cream, gold, and ivory. “It was really time to do an evening collection. My customers had been asking about it for a while, a collection that showcases the artistry of the Natori world,” the designer said. The spread of dresses (gowns, shifts, and cocktail styles) will join her pre-existing sleep, lounge, home, accessories, and RTW collections. “This collection is a continuation of the Natori brand DNA. I want to dress my customers for all parts of their lives–from the bedroom to the boardroom. 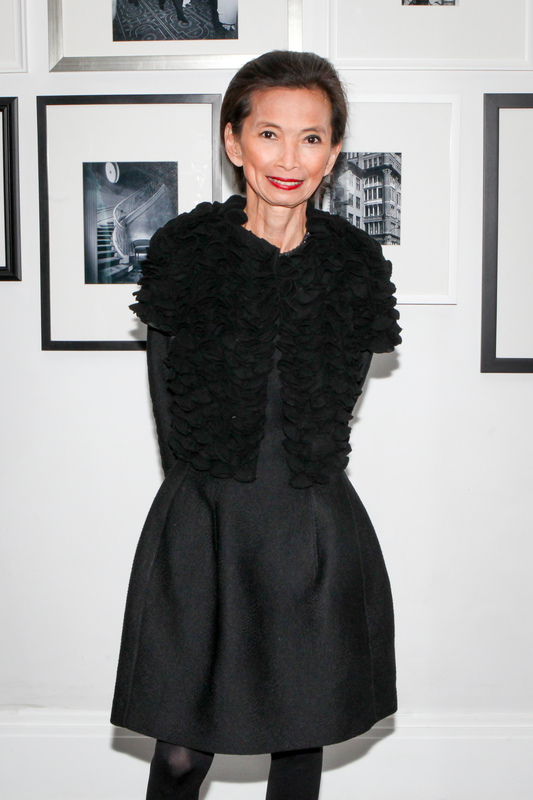 It makes so much sense–beautiful gowns to go over my beautiful lingerie,” Natori said. The collection is set to launch in late November and will retail for $1,500 to $5,500 at stores including Neiman Marcus, Saks Fifth Avenue, Nordstrom, Bloomingdales, and Dillard’s.